Needless to say we are still very happy with the results we have been able to achieve with the SFM business system. For those of you who want to know how we did for July 2015, we earned exactly $20,669.90 in online commissions. For August 2015, we managed to slightly improve on our July results earning $25,749.65. We recently ran a live training webinar with our subscribers detailing the EXACT steps we took to achieve these type of results (you can check out the replay here). We consistently broadcasted our email list at least 4 times per week to provide value and build a solid relationship with them (this helps convert into more sales). And that’s it! SIMPLICITY is key! If you are struggling to make sales, you need to ask yourself whether you are consistently generating (at a minimum) at least 10+ quality leads per day, every single day! Consistency is what creates results. The results of this business are more than just the financial rewards… I’ve said it before and I’ll say it again… The money is not what gets us excited about this business, it’s the LIFESTYLE! It’s all about living a lifestyle by your own design. For example we just booked our one way tickets to the United States (our first time!) 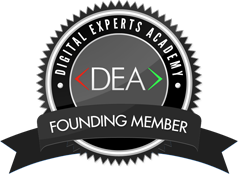 so we can attend the DEA Gold event in Las Vegas and the DEA Black event in Mexico to mix it with our fellow digital entrepreneurs from around the world. We get to work from home, take our business with us on holidays and wake up every single day with passion for what we do. Living the internet lifestyle is possible for everyone,the only thing that stops people are themselves. Getting started and taking that first step into digital entrepreneurship is all it takes. And there is now better platform than getting started with The Six Figure Mentors.